Released on behalf of TyreSafe. Released on behalf of ESFRS. Released on behalf of Sussex Police. Project EDWARD (European Day Without A Road Death) is an awareness campaign that aims to bring casualty reduction and road safety to the forefront of people’s minds for a day in September. Released on behalf of partners at Sussex Police. In a recent prize draw facilitated by SSRP, IAM Roadsmart presented a Sussex driver with an Advanced Driver Course. Issued on behalf of Sussex Police. New team of Special Constables to reduce collisions and improve safety on Sussex roads. 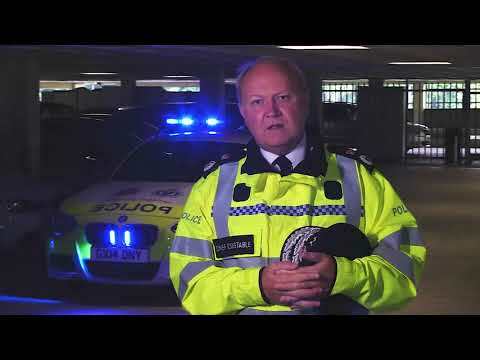 Chief Constable Giles York, of Sussex Police, has commissioned the creation of a new team of specials, which will look to tackle road death and instigate safety on the county’s network. Today, 1 June, sees the launch of Surrey and Sussex Police’s summer drink and drug driving campaign – also known as Operation Dragonfly. The month of action will see the counties’ joint Roads Policing Unit carry out dedicated patrols to put the brakes on any motorists who take to the road while under the influence of intoxicating substances.